I was never allowed to cry without being laughed at. I was never allowed to be angry without retribution. I was never allowed to be sad without ridicule. I learned very early to not allow any emotion when I was growing up. I never knew that this upbringing caused my total independence and lack of emotional connection. Thank you for shining a light. I really want to thankyou because your book has made me blame myself less than what i used to and it took me so much time after reading this book to accept my parents did emotionally neglect even though i still have those doubts and get in that loop again but i am atleast able to recognise that. I wanted to ask you that should i consider cbt instead of psychotherapy to heal and work on my unhealthy coping mechanisms learnt due to cen as it effects my work and personallife to great extent. Dear Sk, I’m sorry to say that I’m not able to advise you on that without much more information about you, your background and your life. I can only say that I believe targeted treatment aimed toward healing CEN is a very powerful and efficient way to make a difference in your life. I hope this helps. I came across your work by accident in July 2016 and it has been life changing for me to finally recognise that my feelings matter, after decades of priding myself on being Ms Independent and being emotionally shut down. Being sent away to boarding school between the ages of 4 – 15 after the death of my mother will have that effect. In the spirit of sharing knowledge I forwarded a link to your work to the therapist I know. Thank you for helping me to heal. That is wonderful to hear Georgie! Thank you for your message. I’m glad to hear this Heather. 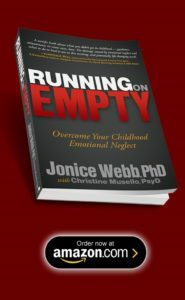 And you can ask your therapist to read this article and/or take a look at my book, Running on Empty: Overcome Your Childhood Emotional Neglect. Many therapists are happy to do this, once they hear about CEN. 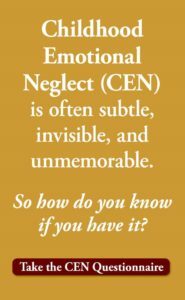 Thank you for the work you are doing to inform people about Childhood Emotional Neglect (CEN). I had never heard of CEN until I signed up to receive emails concerning this subject. I realise that my life needs to be healed from the effects of CEN. I’m so glad to be helpful Yvonne! Thanks for your comment. Keep following the newsletters, as they are packed with useful info. Sending you best wishes for 2018! Dear Sandra, recovering from CEN can be unsettling to the people who know you as you’ve always been. It’s important to keep going on your healthy path. And there are ways to explain to others why you are changing to gain their support. 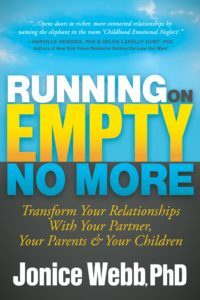 You can learn more about this in my new book, Running on Empty No More: Transform Your Relationships. Keep up the good work you are doing. And happy 2018! If I only had someone like you to help me through this when I was younger, I believe my life could have been happier. CEN status with some of us all our lives if left unaddressed. Thank you for your good work. You are truly a blessing. Dear Angie, your life can still become happier. 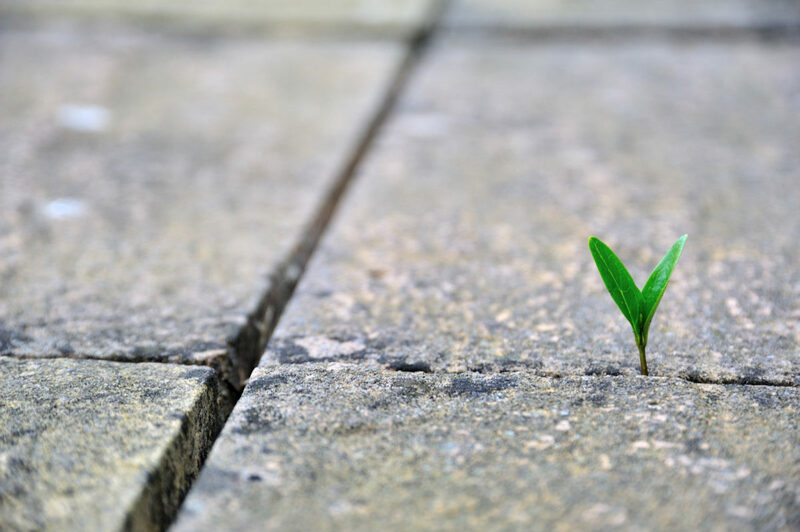 Take the steps of recovery and I assure you, it will pay off. Happy New Year! Thank you Dr. Webb for all you’ve done to help us through this terrible problem called CEN. You are a gift to the world. Thank you for your kind words Alison! Happy New Year! What a unique clientele. Is there a commonality in who or how they are referred to you, or in the tools you used in your evaluations? I wonder how many other phychologist experience this kind of generalized concentration of symptoms without intentionally setting out to treat specific types of psychoses. Thank you for sharing such well written articles. Dear jdl, the interesting thing is that my clientele is not unique at all. Therapists see these symptoms all the time, but they don’t necessarily think about it as a pattern caused by Childhood Emotional Neglect. I hope to make it known by all therapists and lay people, everywhere. Thanks for your comment! Thanks Dr Jonice for all the work you have done on this subject. “When these folks were sad, hurt, scared or angry as children, no one noticed. No one asked them what was wrong, or stepped in to validate what they were feeling, reassure them, guide them, or teach them about emotions. Their parents may have responded sometimes, in certain situations, but it simply was not enough.” The key word here for me is VALIDATION. Working on it on a daily basis. Looking forward to more in 2018. Dear Sue, I’m so glad that you are thinking about all of this and putting it to good use in your life. I’m looking forward to more in 2018 too! Happy New Year. The article came up on my facebook. I went through a week long workshop called ” Healing Childhood hurts and trauma. The group that held the workshop is called “Greenshoe”. I learned so much about myself. I also, understand my siblings behaviors a lot more. I realized I cannot take their behaviors personal. Anyway, I hope that more people find out how their childhood with trauma or hurt will affect every part of their life and relationships. I know there would be a lot less estrangements in families. Hi Sara, it is so true that most parents’ failures or mistreatments of their children say everything about who the parent is, and are not at all a response to who the child is. Keep on your healing journey!